We will also have a sale on membership, and an amazing gift from our friends at Finao! New and existing Wedding School members will receive a $200 credit to Finao albums, perfect for creating your first sample album! Our yearly Wedding School membership, usually $299, will be on sale for only $199 until Sunday, August 20th, at 11:59pm. This means that not only do you get $100 off of membership, you receive an immediate $200 coupon for use at Finao! 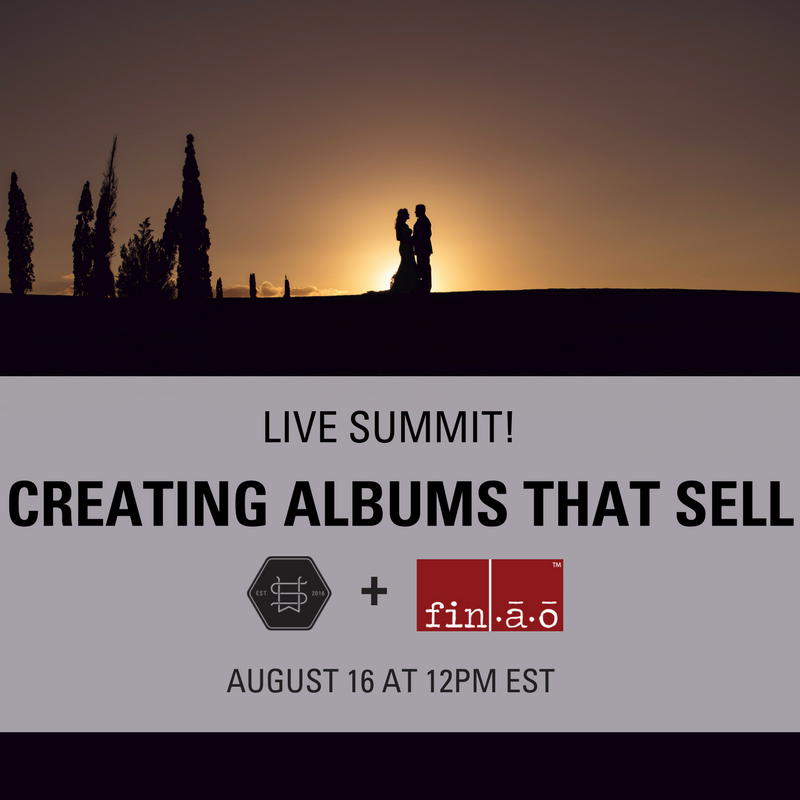 Watch Creating Albums That Sell LIVE with us – for free! To watch this summit live, and to sign up for membership starting at 12pm EST on Wednesday, August 16th, 2017, click here. The summit will replay through the week and weekend until August 20th at 11:59pm! We hope you join us!